There’s always the chance that recipes I love and enjoy will be a flop for you. Maybe your execution of the recipe didn’t work out so well. Maybe I have weird taste buds. Maybe your butter wasn’t room temperature or your baking powder was old. Maybe you just don’t like kale, dang it! As it turns out, this was an AWESOME recommendation. 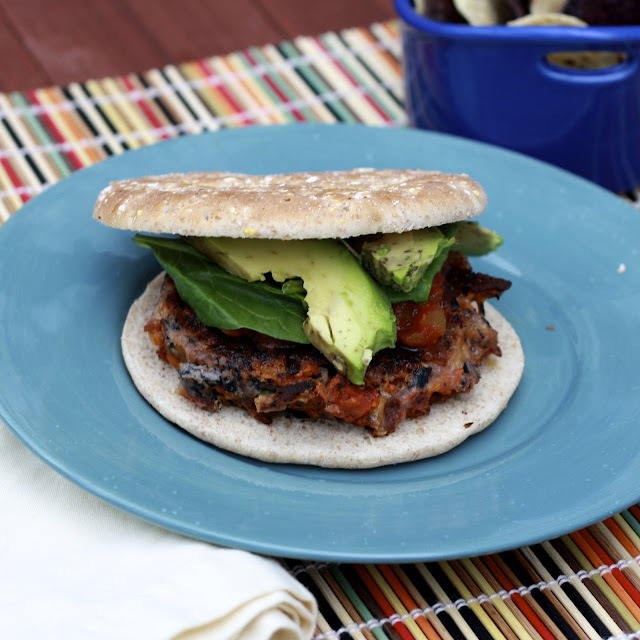 These belong right up there with the black bean and corn burgers! The secret ingredient was definitely the crushed blue corn chips. That, and lots of cheese! These were definitely aptly named—so much “nacho” flavor happening, and they were over the top with some sliced avocado and tomato accompanying them. In case you’re doubting, trust my recommendation on this one. Be sure to make them ahead of time and let them chill (mine sat in the fridge for almost 24 hours), which I think helped avoid the crumbly mess that black bean burgers sometimes turn into. I can’t wait to make these again! 1. In the bowl of a food processor, add beans and pulse until chunky, with some beans still whole (can also be done in a large bowl with a potato masher). Stir in chips, salsa, cheese, egg, scallion, and pepper. Allow mixture to sit for 10 minutes before shaping into 4 equal-sized patties. 2. Place patties on a plate and cover with plastic wrap. Refrigerate for 30 minutes or overnight. 3. Heat 1 tsp oil in a large skillet over medium heat. Add patties to pan and cook until golden brown on one side (4-5 minutes). Flip and cook other side for 4-5 minutes. 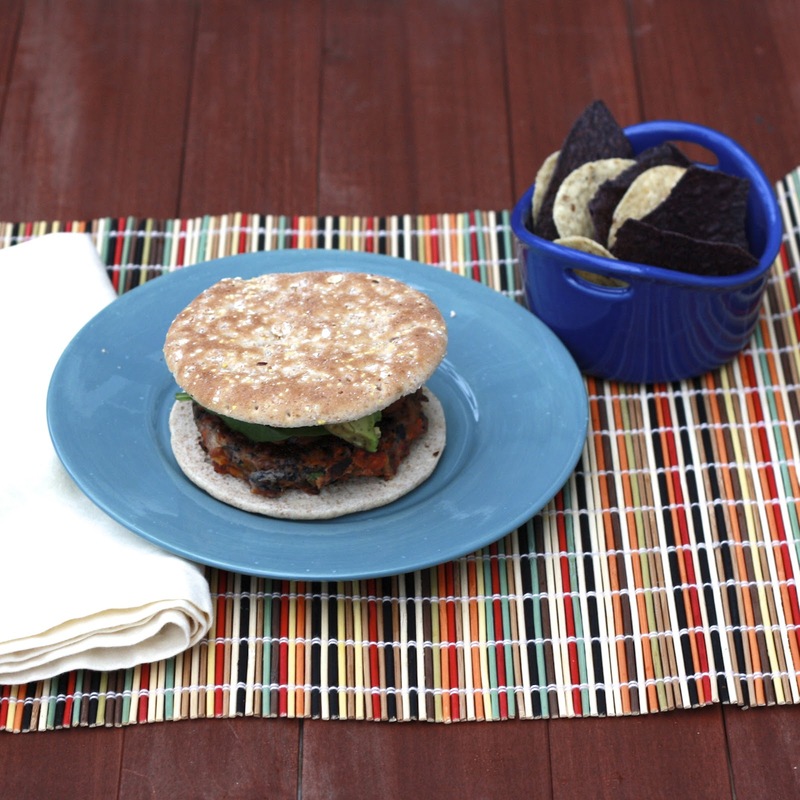 Place patties on buns, top with salsa, spinach, and avocado and serve immediately.